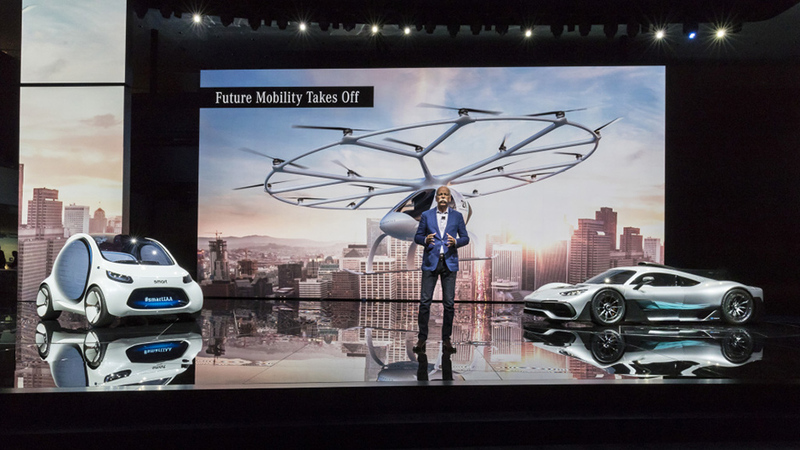 During its first public appearance, the Mercedes-AMG Project ONE was driven on stage by Lewis Hamilton. 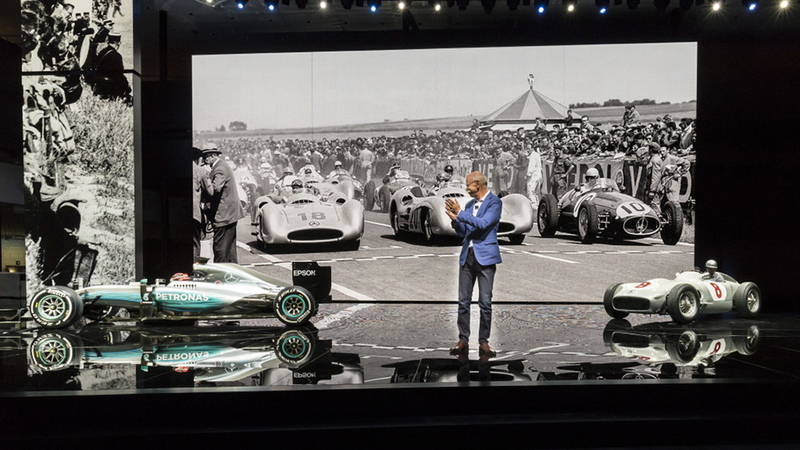 The triple Formula 1 World Champion is also the protagonist of the global marketing campaign, accompanying the world premiere of the AMG Hypercar. The film shows how Formula 1 technology is transferred into the Mercedes-AMG Project ONE vehicle. Not only the Hypercar, but also the campaign is a milestone for the future strategic orientation of the brand. 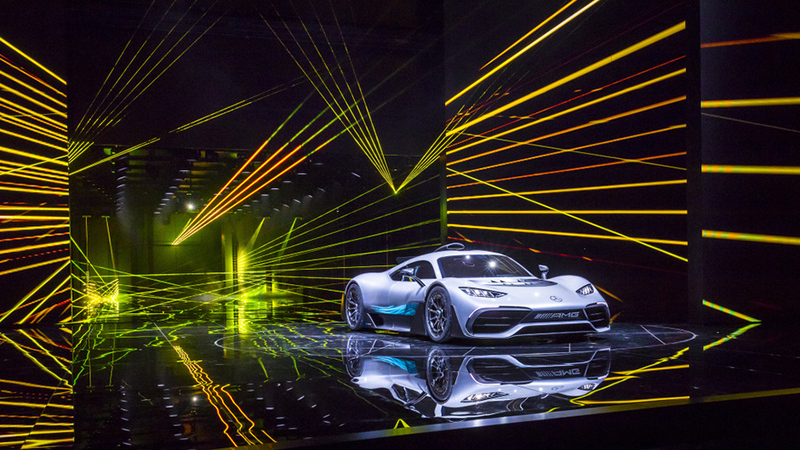 The Mercedes-AMG Project ONE demonstrates the innovative power of AMG in the sports car segment. 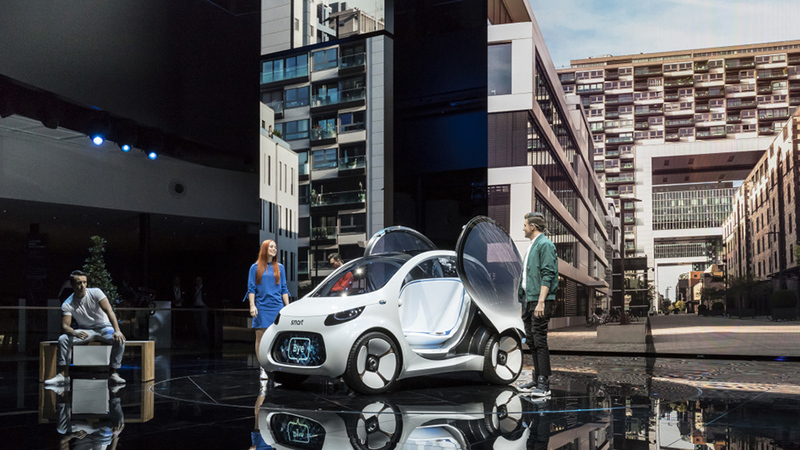 It combines outstanding efficiency and automobile performance at the limit, which is presented in the campaign with the title “The Future of Driving Performance” in a unique and expressive way. 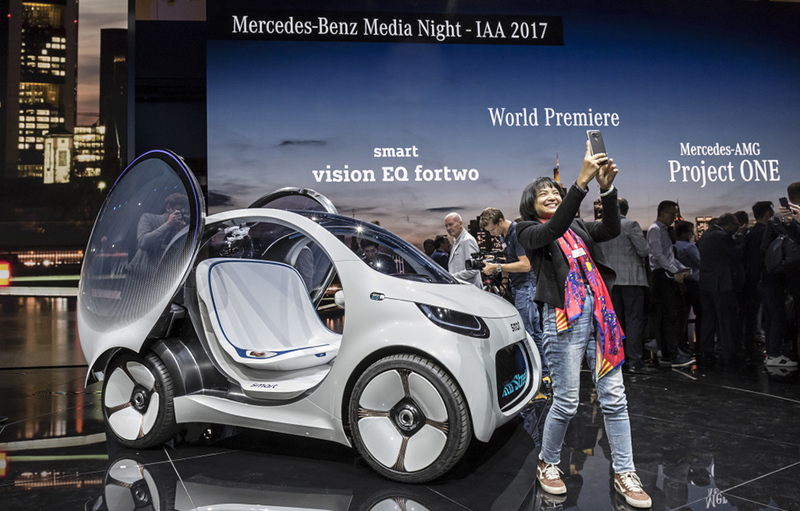 World premiere of the smart vision EQ fortwo at the International Auto Show (IAA) in Frankfurt. As ever, kudos to Daimler – Mercedes yet again. You have been a world leading inspiration in automotive engineering and performance since I first became aware of your achievements in the early 1950s as a preteen. Now here we are in 2017, and you’ve done it again. Oh the memories evoked by the 196s, the 300 SLRs, the C111, and now the Project One!